There’s no point in having a website or a blog if no one is going to it. Often times people think of a website the way Kevin Costner thought in the famous movie – Field of Dreams – Once you build it, everybody would come. Unfortunately that always isn’t the case. People often put in a great deal of energy, thought, money and time into launching a blog or a website, only to be shocked to learn that it doesn’t rank anywhere on the first or second page and no one actually comes to visit it. Generating traffic to a site can seem like a mysterious form of voodoo to some – especially when it comes to “free” online traffic. I put the quote marks around free, because in reality nothing is free. Your time is certainly worth something, and free traffic generation does take lots of time. That being said, if you’re interested in sparing two to three hours a day to these traffic generation techniques, you can easily generate hundreds or even thousands of new leads to your website within a short time. Let’s have a close look at my 10 most effective INSTANT free traffic generation methods. Note: these methods are not in order of importance. Using any of them consistently and strategically can generate you good amount of traffic. Forum posting is one of the most powerful secrets to generating instant traffic. The concept is simple. You find a forum in your niche i.e. related to the topic of your site or product name. You can Google to find niche forums by typing your “keyword+forum” into Google search. From the results you get, begin looking for good forums to join. Almost all forums will allow you to add a hyperlink to your website or blog from your profile and your signature file. Try to add a descriptive link to your signature. Therefore, instead of Gardening Website put something like Gardening Secrets Revealed or Free Gardening Tips. 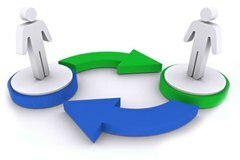 Now, you should become an active member on this forum and post topics, answer questions, and also respond to threads. If you spend just 30 – 60 minutes a day being active on forums, you would be easily able to generate 40-60 visitors a day from this method alone. To get the best results, have a well prepared profile with a link pointing back to lead capture page. Also, try to find and make posts only on newly created threads. This way your post is at the beginning or near the beginning of the thread. Doing this will ensure many people will read your comments. So avoid commenting on threads with lots of comments already. Another benefit of forum marketing is that you can easily use it to find joint venture partners to do business with or swap traffic with. Use this method to find joint venture partners who will send you free traffic. Guest posting (i.e. posting articles on related blogs) is one of the best and easiest ways to get more traffic to your website and the traffic can be instant if done well. For best results when doing guest posting, only submit your article to sites that are also receiving good traffic themselves – say sites with Alexa.com rank below 100,000 global. Also ensure to read the site’s article submission rules so that you can write your articles according to their rules. This will get your article accepted and posted on their site quicker. It’s good to contact site owner first before submitting article to them. Ask them how soon they will publish your article once submitted. Follow up with email or call them on the phone after submitting your articles to them and let them know that you have submitted the article. You can even ask them when they are likely to publish your article so you will be able to check back. This could give them a little push to help your article get published quicker. At the bottom of each of your articles ensure to have a link back to your blog or lead capture page. You should add a strong call to action here for readers to visit your site. 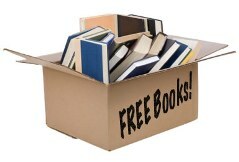 This is where you can give something away for free to entice them to your website. Posting articles on high authority sites makes it much more likely they’ll be found by big search engines as well. Most websites publish articles within hours of submission, but you can confirm the time by contacting the owner. To get maximum number of visitors you should promote your articles on forums, blogs and social media sites. You can even announce your article to your list and encourage them to share it. Follow the above strategies and you’ll be generating a good amount of highly targeted traffic to your website in no time at all. 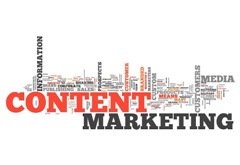 The goal of this method is to use high quality original content to drive viral traffic. The best way to go is to choose a high searched keyword for your website or your products. Here we want to make sure that people are actually searching for what we want to write about. So, you need to ensure that the keyword you chose is receiving very high searches. Use https://adwords.google.com/ to search for high searched keywords. Note: you need to have a Gmail account with Google in order to be able to use the keyword tool. Once you have found the right keyword, you then need to write an article of at least 1000 words around the chosen keyword. Use sites like: http://www.iwriter.com/ and https://www.textbroker.com/ to find good article writers. Once written, post the article on your blog and do a basic SEO optimization for the article. For instance, ensure your keywords is in the heading, title, description and body of your article. Also implement all social media sharing buttons on your article page. This will encourage your readers to share your article. Quick tip: When you write your article, try to write it around good topics that you think others would want to share – topics such as Top 10 ways, 20 Effective Tips…..and so on. These are the type of topics people like to read and share. First, you should submit your article page to all social bookmarking sites, social media sites, and web 2.0 sites. Here the goal is to start getting the content shared online. Secondly, convert your article in pdf eBook or Powerpoint and then submit it to various ebook sharing websites. Make sure each article has link poining to your site from inside your eBook. Thirdly, convert your Powerpoint article into a video and post it on YouTube. Then share it on other video sharing sites. Fourthly, you should also convert your article into podcast and distribute it to various podcast sharing sites online. In all your postings and sharing, make sure you have links pointing back to your website or lead capture page. You can use http://Fiverr.com gig service for sharing your article on social media and social boookmarking sites as well as using it to create and submit your ebooks, videos and podcast. Follow the above strategies above to begin driving quality viral traffic to your website starting today. 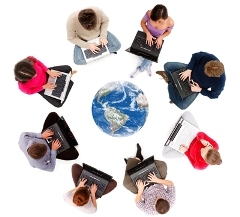 Online groups, such as Google, MSN, Yahoo, LinkedIn and Facebook groups work in a similar way as online forums. These days you can easily find groups in almost all possible niches. Some of these groups are small while others are quite big comprising thousands of members. You can get highly targeted traffic through these groups and it’s almost instant traffic as well. The only drawback with this traffic source is that it’s short lived and it dies down as your posts get buried in the pile of later posts. But this shouldn’t be your concern as you can make similar posts over and over again. Google Groups are the biggest ones but in some cases Facebook Groups may far exceed in size though also. To use Google groups, just type into your web browser: http://groups.google.com. Then, type your niche in the search box, and soon you’ll get a list of groups. Once you have found some groups in your niche, join as many as you like. Some of these groups can be private, so to get accepted you’ll have to make request to the group leader. You’ll find a button to make your request and usually you’ll be accepted promptly. Regular participation in discussions and positive interactions with other group members will definitely yield great dividends. In the beginning, refrain from any kind of promotion. It’s important to first build trust, and then proceed with subtle promotion afterwards. With Facebook groups, ensure to have a good FB page with a link that points back to your website (lead capture page). 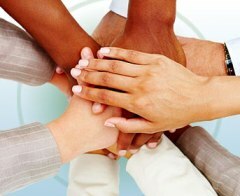 Contribute something of value in the groups to create some trust, credibility, and authority. Quick Tip: Join private groups. I have found that private groups send more targeted traffic than the public ones. I have also noticed that the groups having a few hundred members are the best ones to join. If you join groups with too many (thousands of) members, your posts will easily get buried under the heap of posts made by other members. On the other hand, if you join groups with too few members, your posts will not get the required exposure. You can also create your own group and have people joining it so you can build your own audience. Make a pinned post in your group with link pointing back to your site. Once created, invite some friends to start the group. And as you participate in other groups, ask people to join your group. Instead of direct promotion, I would suggest you to first get these prospects on your mailing list by offering a valuable free gift. Once you get them on your list, you can promote to them unlimited offers in your follow ups. will bring you enough traffic to start the ball rolling. You can make $500/day by driving traffic from Groups. You just need to be consistent, persistent and have patience. If you can’t handle the posting work yourself, you can outsource it. You can find outsourcers at: http://OnlineJobs.ph, or http://BestJobs.ph. Hire them and train them according to the requirements of your niche. ==> Look for at minimum 10 high searched keywords in your niche. Keywords you know that people are searching for a lot. The most searched the better. 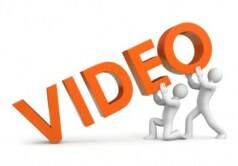 ==> Create a 30 seconds – 1 minute video around one or more of the keywords. If you can’t, look for someone inside Fiverr.com to do this for you. It’s cheap. Doodle videos are the best. For best result, create video that give some tips and have a strong call to action for the viewer to go get either the remaining part of the tips, your free report, your video or whatever it is you are giving away to get them on your list. ==> Once your video is ready, take the first most searched keyword in your list and search for it on Youtube. Look for the most viewed video for the keyword and create a good title for your video using a title similar to the title of the most viewed video that you found on Youtube. Just make sure your keywords appear in the title. ==> Upload the video to youtube and create a good description for it with a strong call to action and link pointing back to your lead capture page where you collect names and email addresses. Make sure to optimize your video description for all the keywords you found. If you don’t know how to do this, search on Youtube on how to optimize video in youtube and you’ll find some tutorials. Also use your keywords as your tags. ==> Then post your video directly on other video sharing sites using the same title you used on Youtube. Some of the sites will take your Youtube video automatically from Youtube with the description and all the optimization you have done. Others allow you to upload directly. If you upload directly, ensure to optimize it as you did with Youtube. Just copy the Youtube description over. Quick Tip: Link all your videos back to your Youtube video as well as your lead capture page. To get the best results with this method, save the video you have created several times using all your keywords one after the other. Then repeat the same process for each video using the strategies above and with 20 – 30 videos targeting high searched keywords using the methods above, you’ll have a stream of consistent free traffic flooding your website. Just keep doing this with more videos you are creating and you’ll be surprised how much traffic you could be getting from this method alone. As you can see, the goal of this strategy is to get your video viral by pigging back on videos that are already getting lots of views. If you create good video for what topics that people are looking for, you’ll get views and clicks. Many of these people are potential buyers. So the goal is to use these websites to drive targeted traffic to your site by answering some questions on these sites. You should signup with relevant sites, and once your account is created, you can proceed and complete your profile. 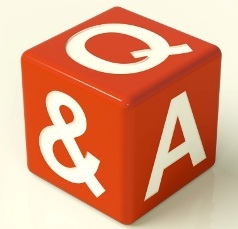 Now go to the main page to check the questions that are grouped and posted according to their subject matter. Choose questions related to your niche. Every time you answer any question, you can include a link to your site as a source in secondary box that accompanies your response. Sometimes you’re allowed to place links right inside your answer. When it comes to dominating answers sites, you’ll need to find a fine balance between quality and quantity. Never spam these sites. Instead you should focus on adding value to the community, while at the same time preparing your prospects to take the action of your choice. The traffic to many answer sites is huge and they tend to surge on the weekends so you should try to be active on those days. If carefully targeting relevant keywords, you’ll find that you can also easily rank on the first page of the search engines and enjoy long-term SEO benefits as you’ll be getting quality backlinks to your website. Quick Tip: Refrain from providing all vital info in your answer, as your answer should work like a bait to lure prospects to your site. Let’s assume that you have four JV partners and each of them have five unique JV partners. You can send a message to each one of your partners about swapping a unique partner. You introduce them to your other four and all five of them will introduce you to their unique JV partners. So in the end you all will have 30 partners. Repeat this process with new JV partners, and soon you’ll have hundreds of them. In this method you funnel cliks with another list owner. Begin by searching for clickbank partners on Facebook (type clickbanking into facebook and join some groups). Now contact some list owner and offer to bank clicks. Some of them will offer you double the amount of clicks you send their way. Double check that they’re not sending you fake traffic. Only choose list owners with good testimonials. ==> Place their banners or link on either your thank you page or download page or both. Track the link so you can know how many clicks you are sending their way. A good tracking tool for this is: Quality Click Control. ==> Once you’ve generated the agreed amount, the other partner will send his. Do this with a few other people and see your traffic and list grows. This way, as you continue to build your list, you are generating clicks to your banking partners and they will reciprocate at some point to pay you double the traffic you send to them. This can work for you on autopilot while you change partners from time to time. To use this method effectively, chose 3 partners at a time so that the traffic going to your thank you page can service the 3 of them so you get your traffic back. Just continue to do this and your list will explode while your income explodes as well. This method will work best for those who already have a list and are running ezines. Using this technique you can generate hundreds of subscribers a day without spending a dime. You should search for ezine owners who’re in your niche and offer to place their ads on your ezine to your list, and they will do the same for you – place your ads in their ezine to their list. These ads can be placed in the “Other recommended Ezines” section. Repeat this with five ezine owners and soon you’ll see your list growing fast. You can combine this with partner swap techniques discussed above to see your list and traffic sky-rocket. Where to find ezine owners: Search in Google using your niche “keyword+ezines” and you’ll find lots of ezines and ezines directories in your niche. You can also use your niche “keyword+subscribe” in Google search to find list owners. Once you have a subscriber based of a few hundred, you can implement this strategy. Adswaps is now becoming popular in both non-IM and IM niches. In this method, two marketers with mailing list of same size agree to promote each other and send their subscribers to their partner’s squeeze page where they are offered some sort of freebie. Adswaps are becoming widly popular because this arrangement offers a win-win situation to all the parties involved. The subscribers also get something of value without spending anything and the two marketers involved add quality subscribers to their lists without spending anything. If you don’t have a list, you would first like to have a seed list in your niche using other methods. In my opinion, a seed list of 1,000 subscribers is sufficient to start with. Next contact webmasters, marketers and ezine owners in your niche. Those having list size similar to yours will be the most willing to do an adswap with you. case, you just need to mail out a number of your subscribers equaling to his i.e. what you do is take out 1,000 subscribers from your list and mail them out your message. The best thing about adswaps is that you can do a lot of them without diluting your list (don’t overkill this though). Just a couple of mid sized adswaps can easily add a few thousand new subscribers to your list and a nice five figure income to your bottom line, all without spending a penny on advertising. There are always lots of adswapping groups on Facebook and Skype. Just search for adswaps on Facebook and once you get on the group ask if anyone knows of any Skype group they can introduce you to. Keep at this and getting traffic will soon be a thing of the past. 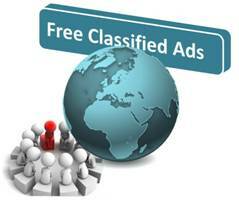 Famous classified websites such as USfreeads and Craiglist can be a good source of highly targeted traffic. Millions of people visit these sites every day in search of bargains, business opportunities, and job offers. hesitate in taking out their credit cards after coming across compelling deals. So what you do is to create a small but attractive ad and make a big promise. Your prospects should feel that your service or product can solve all their worries and that they are getting a good deal. In fact, you can outsource this and hire people to post for you to save you time. You can also search in Google for classified ads sites to get more sites. As far as classified sites are concerned, Craigslist is a biggest of them all. You can learn how to use Craigslist by searching for video tutorial on Youtube. And never underestimate the power of eBay classified. It does require you to pay a fee of $9.95 to post your ad but provides you with some of the most targeted traffic you can get. JV giveaways can be the most practical and profitable form of Adawaps. You gain subscribers from just one partner list in a normal adswap, but in a JV giveaway you get new subscribers from all the lists of all the marketers involved. Usually JV giveaways are organized by top marketers, while others offer their products for free. All these freebies are listed on common page and then all those who’re participating send traffic to this page. Visitors would come to the page, choose their freebies and opt-in at respective pages to download their free products. The marketer who arranges these giveaways gets massive online publicity and tons of targeted traffic, the partners will get qualified subscribers to their lists at no cost. They can also earn good money with One Time Offers. The gifts mainly include free reports, softwares and scripts etc. To participate in any Giveaway you have to have a product to offer for free, a squeeze page and at least one OTO (To earn you some money right away). It’s always better to have your product to offer at these giveaway events,if not you can get resale rights to someone else product and offer it as a gift. Your one time offer may not be your own though. You may choose to have a high converting affiliate product as the one time offer (OTO). In such case you would like to offer additional bonuses or rebates to increase the conversions. I would suggest you to use 3 OTOs. Using 3 OTOs in place of just one has proved to increase conversion by almost 100% in most of the cases. The popularity of these Giveaway events is now increasing rapidly and some marketers have reported to build a huge list and successfully make lots of money from just one Giveaway event. Most of these giveaways are held around popular occasions or festivals. This kind of marketing is gaining widespread popularity. To find giveaway events search in Facebook and you should begin to find some. There are also Skype groups for giveaway events. You now have 10 fantastic ways of driving red hot traffic to your website! Start off by implementing just one or two of these ideas into your marketing campaign and sit back as the traffic pours in. Continue to expand your outreach by adding new traffic sources to your funnel and set yourself up for long term success. Hope you have enjoyed reading this article and if you find it helpful, please share and leave your comments below. Above all, you need to begin at once to implement the strategies for your marketing and start flooding your website with targeted free traffic.